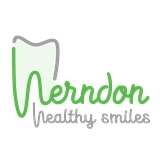 Herndon Healthy Smiles (Herndon) - Book Appointment Online! Welcome to Herndon Healthy Smiles, where we try to make it as comfortable as possible for you, the patient. Amazing doctor and staff. Warm friendly and provides great service. Highly recommended.